Trükimuuseumi Rõdugaleriist on saanud Galerii. Kuigi nime defineerivat rõdu enam pole, on uues asupaigas asuv galerii täiesti uus, värske ja seintelt kumab vastu "tabula rasa". 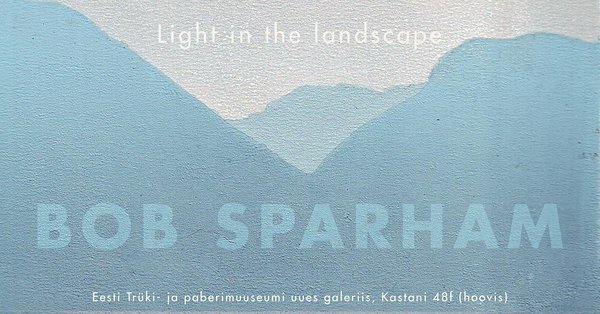 Esimese näituse Trükimuuseumi galeriis õnnistab sisse Briti graafiku Bob Sparhami näitus pealkirjaga "Looduse kuma". Näitus jääb avatuks kuni 20. märtsini. The Estonian Printing and Paper Museum's Balcony Gallery has turned into The Gallery. Though the balcony that defined the name is no more, the gallery in the changed location is completely new and fresh and on the walls glow tabula rasa. The Printing and Paper Museum's Gallery is inaugurated by British printmaker Bob Sparham's exhibition entitled "Light in the Landscape". Bob Sparham is a British artist and lecturer with a background in art history. Bob's source of inspiration is Japanese print art that inspires him to create pastel prints with a focus on nature. Tartu's art audience knows Bob's works thanks to the linocut competition in May 2017 when Bob's prints turned out to be the jury's favourites. Exhibition is open until March 20.